Engelse versie van Modita’s boek is uit. Depression, a stepping-stone towards bliss. 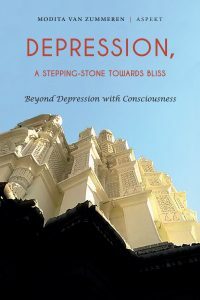 Beyond depression with consciousness. Dedicated to Osho and Meera Hashimoto. Available from October 26 at Amazon. October 26, 14:30 – 16:30 in the Hub, Vestdijk 25, 5611CA Eindhoven. One third of humanity goes through one or more depressions in the course of his or her lifetime. Western treatment is often of a kind which appeals to the process of thinking and/or the prescription of antidepressants. 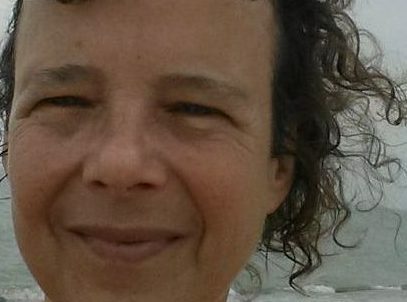 Modita van Zummeren has experienced – both as a medical doctor and during her own depressions – that this treatment doesn’t work in most cases. In this book she describes how finally and definitively she came out of her depressions with consciousness. The book contains guidelines to come out of depression without antidepressants and with consciousness, with the help of amongst others: accepting the depression, family constellations, the active meditations from the eastern mystic Osho, body-oriented therapy and finding passion in life. Modita (1962) is a (non-practicing) physician. Since 1995 she facilitates meditation courses, meditative therapies, silent meditation weekends in nature and family constellations. She works in an accessible, enthusiastic way, with wisdom and out of a warm interest in others.